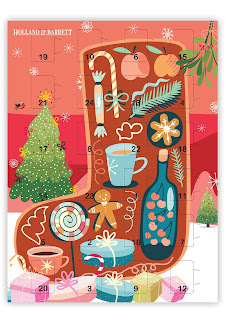 A Happy Healthy Mummy: Advent calendars that won't ruin your healthy habits! 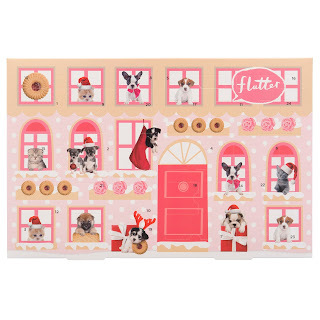 Advent calendars that won't ruin your healthy habits! Forsake the chocolate - and instead get the kids interested in their homework via some lovely little stationary treats. 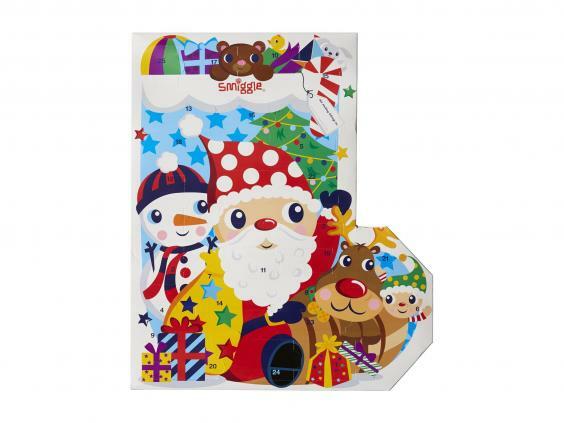 This year's Smiggle advent calendar contains erasers, keyrings, toys and even a watch - and costs £28 (the haul inside is worth £38, so you've made a tenner already...). There's also the chance you could have a lucky ticket inside to win a £250 smiggle shopping spree. If you or your family trying to cut down on the sweet stuff - Christmas can be a nightmare. Just about every Xmas treat is designed to appeal to our sweet tooth from gingerbread houses, mince pies and - literally - the icing on the cake! And chocolately advent calendars are no different - or are they? Holland & Barrett has a range of calendars including a 'No Added Sugar Advent Calendar' (£3.99) that uses xylitol and it is suitable for coeliacs, vegetarians and vegans - and it's also nut-free. The retailer also stocks a 'Dairy Free Advent Calendar' (£3.99) made with a blend of cocoa, sugar and rice powder. It's gluten-, nut- and dairy-free. 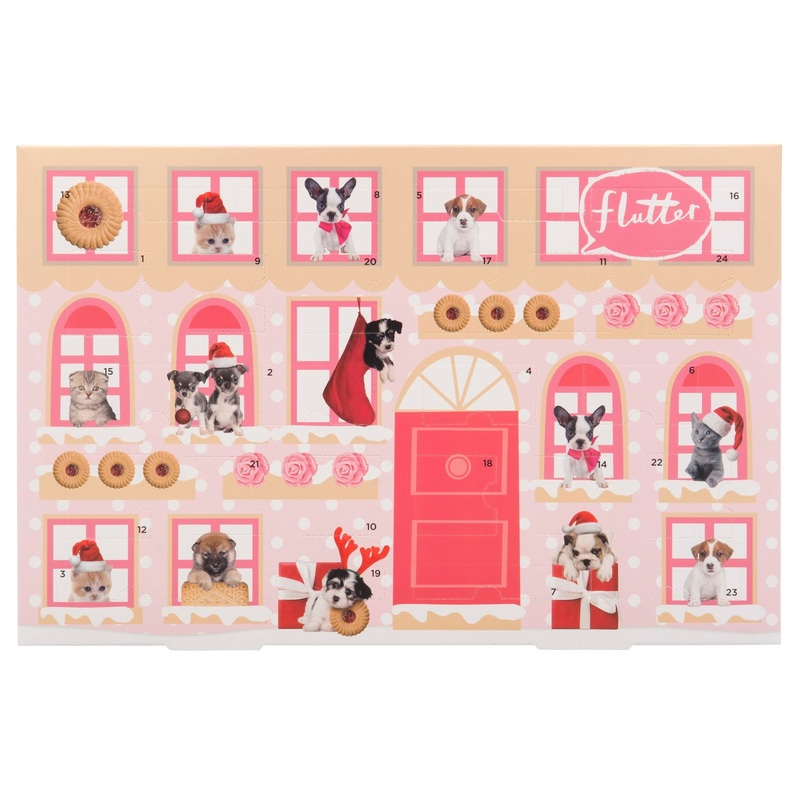 At this time of the year, there's a lot of tempting beauty advent calendars - featuring a whole haul of goodies. But it can be difficult to decide which brands are ethical - and which ones are not - particularly if the calendar houses more than one brand. Since March 2013, it has been illegal to sell animal-tested cosmetics in Europe, even if the testing was done outside Europe, however the laws do have some limitations - not least if that product is sold in China - where testing may still take place. To ensure your calendar is really cruelty-free check it carries the 'Leaping Bunny' logo, which is a voluntary pledge that cosmetic, personal care, and/or household product companies make to clear animal testing from all stages of product development. It effectively guarantees the product is 100 percent free of new animal testing. And it's super easy to find a suitable calendar on the high street - just by popping into Superdrug, where the own Brand products carry the leaping bunny. Choose from the Sweet Snuggles 12 days of Christmas (£6), which has 12 Vanilla and Christmas Cookie fragranced treats including lip balm, soap and shower gel, the Flutter Beauty Advent Calendar (£6), with 24 mini surprises for your eyes and lips and the Studio London 12 Days of Christmas Beauty Calendar (£6), that features four glitter nail polishes and eight high-shine nail polishes. Now you just have to wait until December 1st!